Premier Doug Ford is unveiling his top three priorities for 2019, as he begins his first full year in office, setting the stage for financial cutbacks, downsizing and modernization. 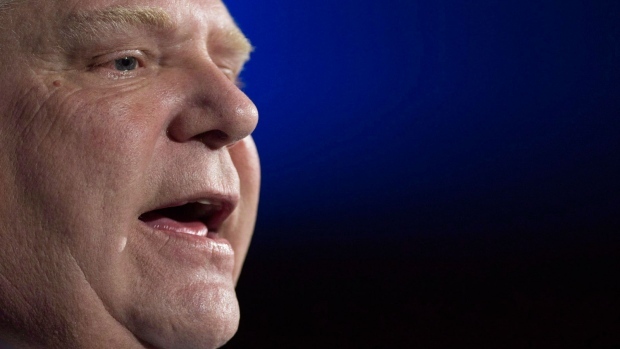 In a letter to Ontario’s civil servants, Ford emphasized job creation, a balanced budget and health care as the “emerging priorities” his government wants to focus on in the year ahead. The letter begins by acknowledging the “lightning pace” of 2018, which included two emergency recalls of the legislature, large-scale repeals of the Green Energy Act and cap-and-trade,and the unprecedented invocation of the notwithstanding clause. “Any time there is a change in government there are new demands placed on each of you to ensure a seamless transition and encourage effective policy making without disrupting any of the government's core services,” the letter reads. The letter does not specifyhow the government plans to achieve its goals nor does it outline the expectations of the non-partisan staff who provide politicians with advice and recommendations. The year 2019 will also include a downsizing of the public service with time-limited voluntary exit packages being offered to manager, who have until February 28th to apply. The Ford government hasn’t revealed whether it’s looking to shed a certain percentage of jobs or what will happen if quotas are not met. Ford’s letter thanked Steve Orsini, secretary of the cabinet and Ontario’s top civil servant, who is leaving his high profile post at the end of January. Orsini, who was appointed to the role in 2014, announced his resignation in mid-december without giving a reason for his departure. “I will certainly miss his counsel, strategic insights and understanding of how the Government of Ontario touches people’s lives,” Ford wrote in his letter thanking Orsini for his 27 years in public service. The search for Orsini’s successor is underway, Ford said.